Scored a stunning goal in open play against Porto in United’s CL quarter final, then followed it up with a ridonkulous free-kick in United’s semi final, second leg at Arsenal (watch both goals here). Who knows what C-Ron has planned for the final, but I think it’s safe to say he’s shed his (ill-deserved) reputation as a player who goes missing in big games. Everyone seems to think Ronaldo will be deployed down the middle tonight, as United’s main attacking threat (with Park and Rooney flanking him). This trident formation worked very well against the Gooners, but I’m not sure it’ll work quite so well against Barcelona, who will be ready for it – Pep Guardiola must have studied closely all the footage of United’s CL matches this season, and he’ll have a plan to counter the fluid 4-5-1/4-3-3 formation. It’s all very well making plans to contain Ronaldo, it’s another thing carrying them out. He is so unpredictable and forceful, that at times he is impossible to stop. Barcelona’s fate may hang on keeping Ronaldo dead quiet in the first 15 minutes, in the hope that the petulant side of his nature comes to the surface. But I don’t think that will happen. Eto’o’s ego is greater than his ability, which is saying a lot. The Cameroonian really thinks he’s as good as anyone at Barcelona, and often sulks when he is not given star treatment. Sound like anyone we know? The thing is, Eto’o is capable of sheer brilliance, but he is inconsistent and mentally fragile. He was garbage at Stamford Bridge in the semi finals, but then he could be brilliant tonight (I predict the former though). That’s why United’s back four must still treat him as a major threat. I foresee Eto’o being subbed off in the second half, probably to be replaced by Bojan Krkic, after a lacklustre performance. 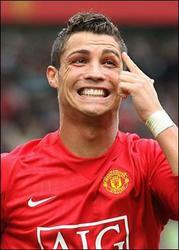 Verdict: The stage is set for C-Ron to show that he’s a better player than Messi. As much as he annoys the hell out of me at times, I truly hope Ron does play a blinder. LOL. I guess you got Eto’o on the wrong night. hi over there, i think eto’o is more better than c. ronaldo but the trueth is that africans are not favoured in every activity they do. 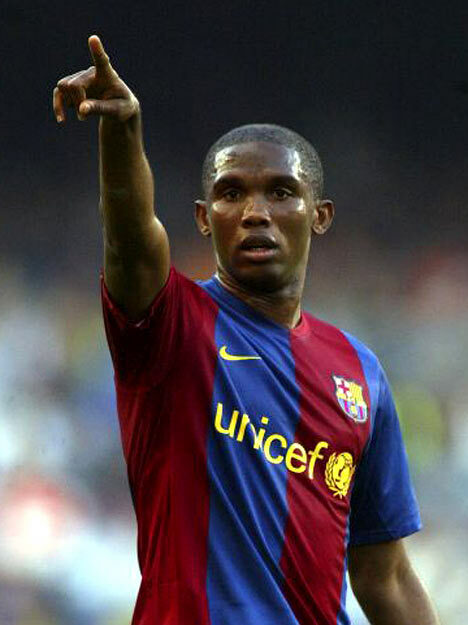 (Eto’o’s ego is greater than his ability)- (The Cameroonian really thinks he’s as good as anyone at Barcelona, and often sulks when he is not given star treatment)(Eto’o is capable of sheer brilliance, but he is inconsistent and mentally fragile) – For your misery, plight and misfortune, football has no eyes. Else it would have agreed with you and Eto’o could not have made You Sir “Fergie” swallow his gum. Eto’o is bigger than any footballer you have seen or will see. Eto’o proved to worh 100 Ronaldos,200 Owens, 300 Roni’s. Only Drogba is comparable to Eto’o.